Seen on GPS Underground that Peugeot/Citroen have released a new Firmware for the NG4. Here is a translation of the release notes, I will post a download link when I find one. Thanks for that! You know I heard a thread mention the update earlier this week and I called 3 local dealerships and none of them had a clue! They wanted to sell me maps! I said no it's firmware/software and they were clueless! I shall call up the parts department tomorrow and get it ordered. 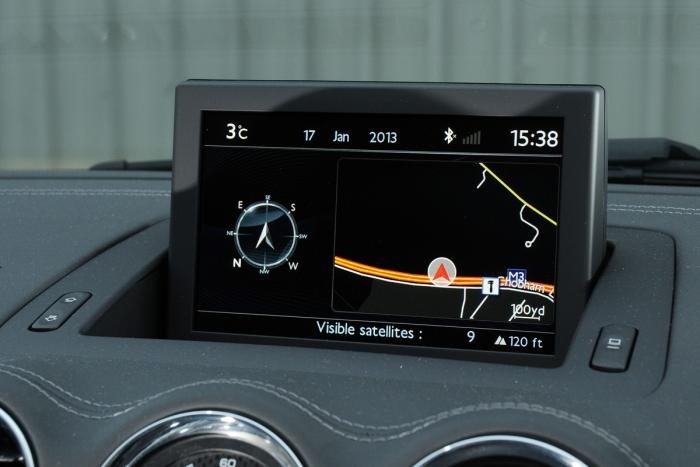 Saw this on some new 2013 model rcz pics on the auto express website I don't recognise or know how to get this display on my ng4 is this perhaps the new update. I will most certainly be quoting the number supplied to my dealer and requesting the update disc. Last update took about 30 minutes to complete. The main thing that changed that I noticed was that the speed camera readings were correct or at least they are when "pop up" display is in map mode. Still shows wrong if you have the media display on this screen whilst sat nav is running. Mines never displayed speed cameras how you do it I'm usually quite good with these sort of things but the ng4 isn't that user friendly. I am the last person to ask about anything technical. However I can tell you how I achieved it. A third disc came with my mapping update purchased from Navtech. This third disc download/uploaded the "Rick Areas" ie speed cameras. This is a European thing with the exception of France. As it would be illegal there. Last edited by OO58RON on Sat Jan 19, 2013 6:12 pm, edited 1 time in total. It's the system from the 508 apparently. Yes it is, nice system too. Any sign of your update discs Richard? What changes has the firmware made, anything significant? My dealer says he knows nothing about it he has spoken to the Parts Dept and they also know nothing. I am going to give him the Part Number tomorrow but as I have ordered new car wondering if giving him hassle is worth it? Not sure as mine only arrived in the post today and I have not used it yet. is what is printed on the CD case.